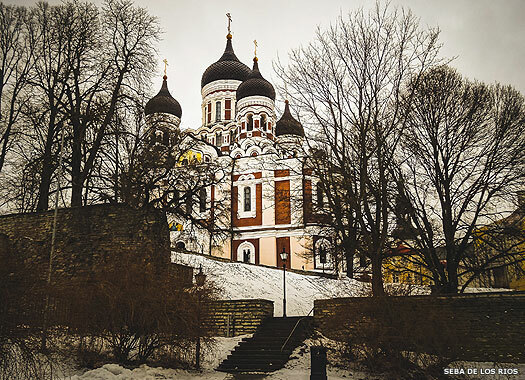 The Russian Orthodox Cathedral of Alexander Nevsky sits in pride of place at Lossi plats 10, on the top of Toompea (Dome Hill) in Tallinn, overlooking the Old Town. Situated opposite the country's parliament building, the cathedral was erected between 1894-1900 on a grass square which had previously held a memorial to Protestant reformist Martin Luther. Local tradition also stated that the Estonian national hero, Kalevipoeg was said to have been buried in the square. 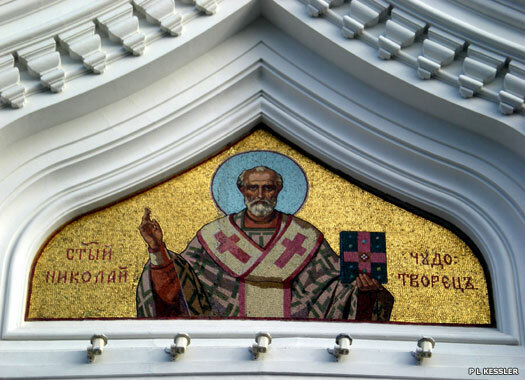 In October 1897, Bishop Agafangel (1858-1928) was appointed to the cathedra of Riga and Mitava. At this time the Baltic States were controlled by the Russian Empire, and the Orthodox Church was involved in a concerted effort to repopulate the Baltics with Orthodox places of worship, following their dismissal at the conclusion of the Livonian Wars in the sixteenth century, when all Russians had to leave the Baltics. 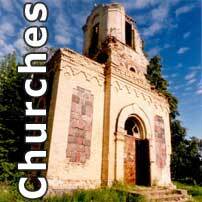 The bishop now led the movement to repopulate the region with Orthodox churches. For the construction of the cathedral, voluntary donations raised throughout the Russian Empire were combined with funds from the state treasury to pay the 600 thousand rouble costs. 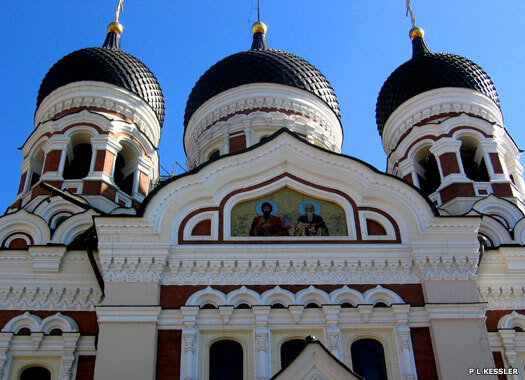 In 1898 Bishop Agafangel consecrated churches in Sillamäe and Valga, and in 1900 he participated in the consecration ceremony for Tallinn's Alexander Nevsky Cathedral, which was held on 30 April 1900. 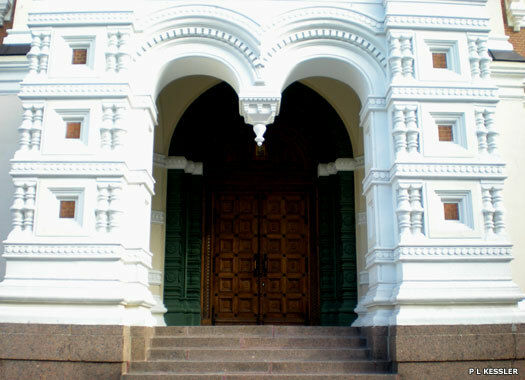 The cathedral's architect was Michail Preobrazhensky (1854-1930), the adjunct-professor of the Academy of Arts. 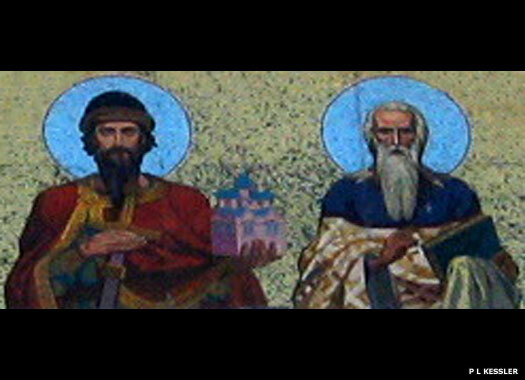 The five-cupola three-altar cathedral itself was dedicated to the Prince of Novgorod, Alexander Yaroslavitz Nevsky who, on 5 April 1242, won the Battle of the Ice on the shores of Lake Peipsi, which is part of Estonia's eastern border. This victory halted the eastwards advance of the German crusaders. The cathedral was built in the Russian revival style which mimicked medieval Russian churches, and was a symbol of Imperial Russia's dominance in the country. The main body of the building, which can accommodate 1500 people, was constructed in local limestone which was bound with cement mortar and faced with Segersdorf bricks. The collection of eleven bells form the most powerful ensemble in Tallinn. They were cast at the Vassily Orlov bell foundry in St Petersburg at total weight of about 27 tons. Such was the weight of the biggest bell that it took 500 soldiers heaving on ropes to raise it up to the belfry. Estonia achieved independence in 1918, nationalising many buildings which belonged to the nobility, and the cathedral was lucky to escape demolition in 1924. During the period of German occupation in 1941-1944 it was closed. 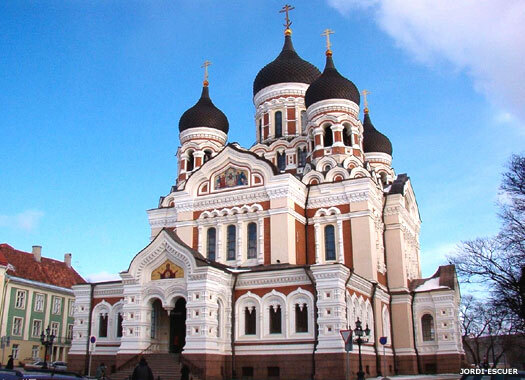 Following the 1944 Soviet Russian invasion and re-occupation, church services were resumed in May 1945 and the cathedral again became the focus of Orthodox ecclesiastical life in Estonia. Additional text on this page by Alesja Pozlevitš.